September 9th in Premium Themes by Wordpress Jedi . Whether you live in a very large city or a fairly small town, there is a good chance there are lots of events going on in your area on a daily or monthly basis. Creating an event directory site for your neighborhood or small town can not only provide a lot of value to the residents, it can be a solid business for you. You can always partner up with businesses in your area to keep your community informed of everything going on. Thanks to Event Theme for WordPress, you can start your own event directory portal with WordPress. Events Theme has a clean and attractive layout. It has a flexible home-page that can be easily customized. 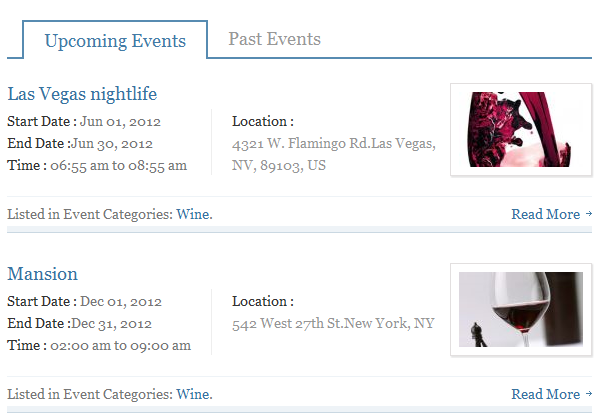 Events can be added to your website pretty easily. Webmasters can monetize their event site by charging for featured events. 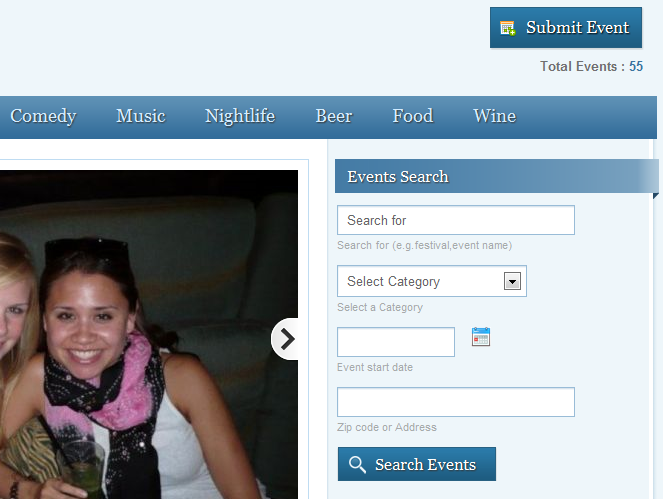 This theme’s tabbed layout makes it easy for your visitors to keep up with future and past events. They can also search through your events by category, zip code, and more. 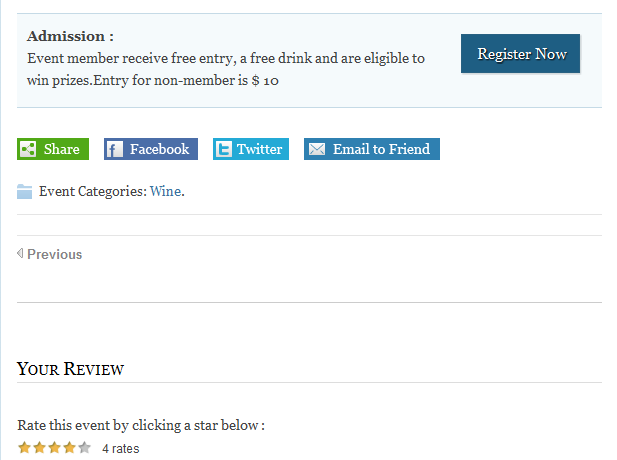 The event details page is pretty impressive too. Your visitors can find out everything they need to know about your events on these pages. Google Maps service is integrated into this theme. 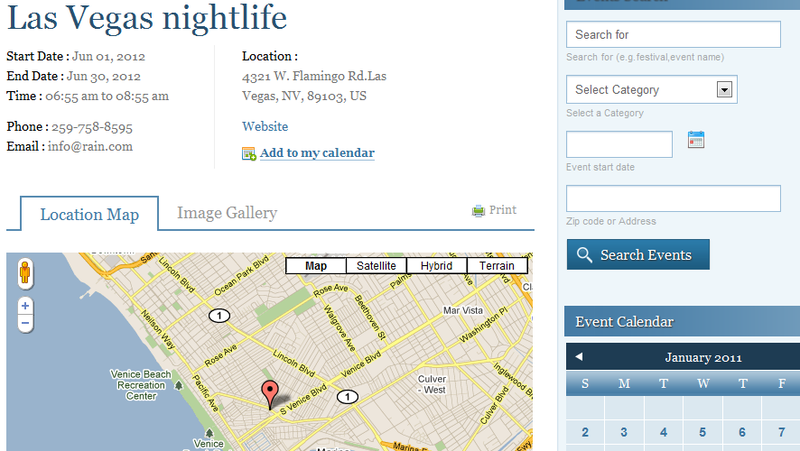 That means, your visitors will have an easier time figuring out where your next events are located. Events Theme is a versatile solution for anyone looking to create a website dedicated to covering the latest events in a specific city or region. It is easy to set up and monetize. It looks decent too.